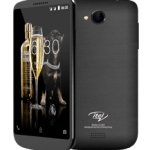 The iTel 1506 (it1506) is a smartphone by iTel and it has been released. The iTel 1506 (it1506) boast of a processor, a 5.0 inches of display with Android 5.1, Lollipop. The iTel 1506 (it1506) also comes with a 512MB of RAM, an internal memory of 8GB expandable by up to 32GB using a micro-SD card. It also boast of an 8.0MP back camera with LED flash and a 2.0MP front camera and a 3600mah battery capacity to push all this. I am interested to buy itel 1506 phone but am in Uganda where can i get it from (shop) and at what price each? I want to know the price of it itel 1506 period.